Want to work for Ecofieldtrips? If you are passionate about the environment, love working outdoors in exotic locations, and want to inspire the next generation to look up from their phones and reconnect with nature - this might be the job for you. We are always on the lookout for qualified environmental scientists to join our team of field teaching staff. Whether your specialty lies in geography, biology, environmental science, zoology or something else; our edge comes from the unique individuality that our employees can bring to the table. 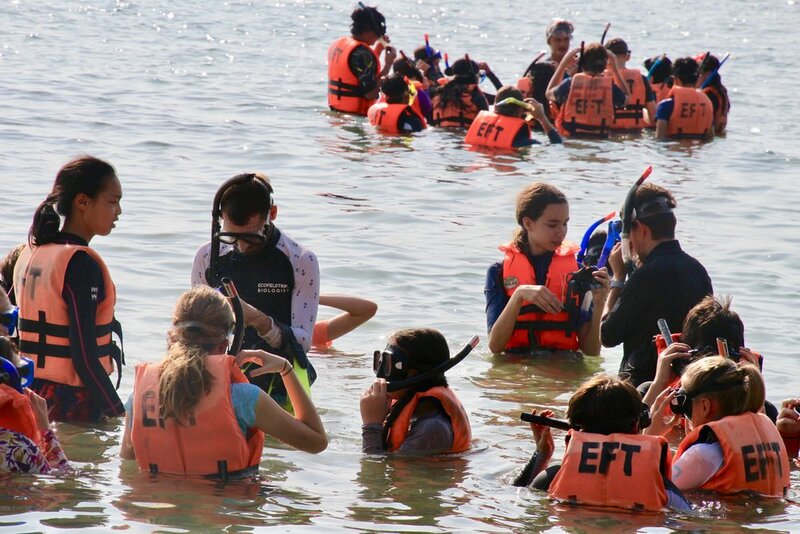 Whether it's helping IB students with rainforest survey techniques or introducing children to basic marine biology on a coral reef; we want dedicated people with a knack for outdoor environmental education. 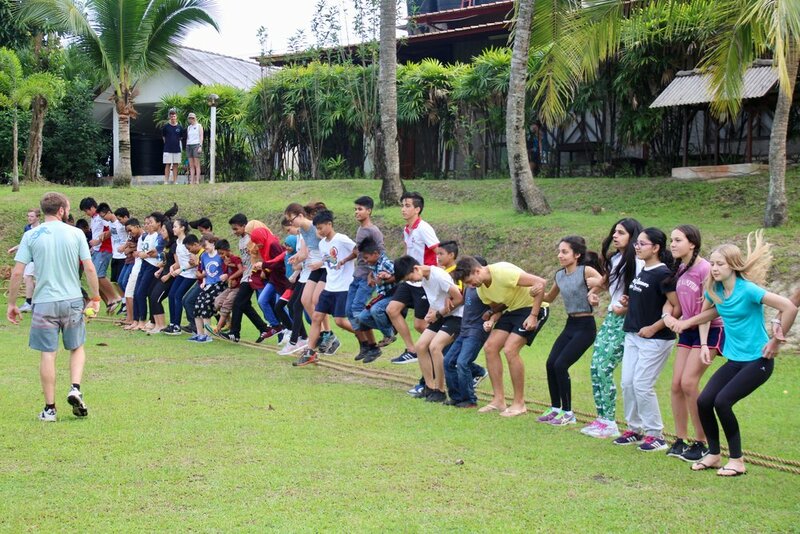 The primary aim of the internship is to provide unique opportunities for training in the field of environmental education programmes. Interns will learn how to competently execute all dimensions of field trips. The 6 months provide both challenging and rewarding work in which you will get out as much as you put in. Teaching small groups of students (10-12 per intern) environmental science themes in a field setting or during interactive presentations. Learning how to maintain student flow and programme fluidity. Assisting with the safe and efficient organisation of large group movements in a variety of ecosystems such as coral reefs, rainforest, plantations, mangroves and freshwater streams or urban environments. Management of client expectations in terms of professionalism and programme objectives. Assisting in the logistics of school programmes (supplier contact for accommodation, food or transport). In depth training covering the academic knowledge and logistical practices required to run fieldtrips in South East Asia. Experience working with children and young adults in environmental education in a range of habitats and locations. 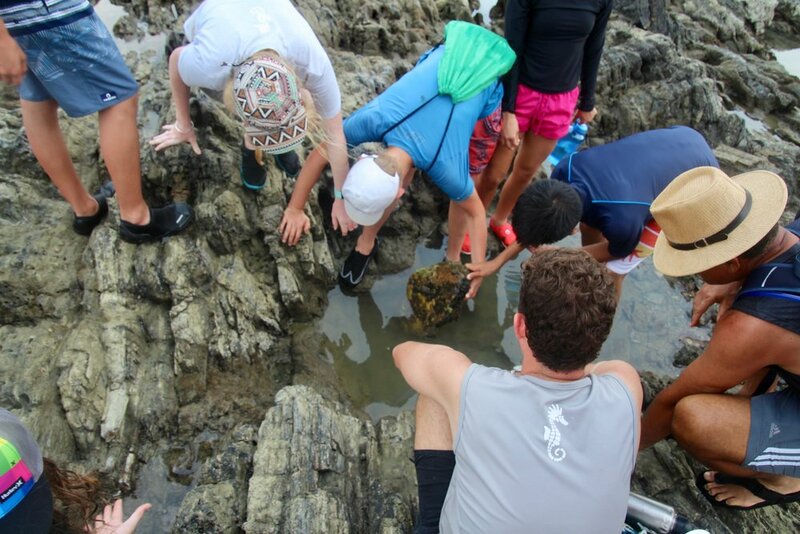 The chance to learn from and be part of the dynamic and multidisciplinary Ecofieldtrips team. Experience of direct relevance to further education or careers in education, research or conservation. A university degree in a biology, geography, outdoor education or related subject. First aid certification (or the willingness to obtain one prior to start date). Up to date DBS/blue card or criminal background check. A high level of competency in the water. Good interpersonal skills and communication skills. Ability to perform tasks requiring physical exertion, outdoors, in all weather conditions and on difficult terrain. Experience working with/teaching school groups, preferably outdoors. An understanding of the ecology and environmental issues relevant to South East Asia. Interns will be provided with food and accommodation for the duration of the internship as well as a stipend to cover additional expenses. Interns will be required to cover their return flights to and from Singapore as well as travel insurance. To apply please send a 1 page cover letter detailing your experience and motivation for applying, a CV and any other relevant supporting documents to hr@ecofieldtrips.com. If you require any further information please send an enquiry to the same address or fill in the form below. Are you interested in a job, internship or research placement with EFT?